Lemon balm has a lemony scent and flavour, and it is used in cooking, herbal medicine, and honey production. The herb is used for making medicinal tea, while fresh and dried leaves are used for cooking. Lemon balm leaves and shoots should be used before flowering, as once the plant starts to flower, it develops a bitter taste. As a flavouring, lemon balm is used in all kinds of dishes that go well with lemon due to its similar taste and aroma. It can also be used successfully with other herbs, though lemon balm should only be added after boiling. The somewhat hairy leaves, when used in moderation, can be used to wonderful effect in salads. This goes particularly for raw food salads containing apples, pumpkin, zucchini or carrots. Lemon balm is also used in soups, sauces, pea and carrot foods, cold green sauces, boiled fish, and egg dishes, and is one of few herbs used for flavouring compotes, juices, jellies, and sweet vegetable preserves. Fresh lemon balm leaves are used for garnishing desserts and cold dishes. Also used in the canning industry, and widely in the liqueur and vodka industries. Lemon balm is a great substitute for lemon, which makes it perfect for preparing stuffed fish. It can used to make vinegar as well as infused oils. Lemon balm makes a wonderfully refreshing tea on hot days, and hot lemon balm tea goes well with any meal or dessert as an alternative to coffee. To prepare a refreshing tea, try combining lemon balm with sweet wine and black tea. Prepare the black tea and lemon balm tea infusion separately, as black tea requires boiling water and 3 minutes of steeping, while lemon balm should be steeped in hot water for 10 minutes. After cooling, mix with wine and keep in the refrigerator or serve with ice. For extra flavour, try adding some tarragon. Lemon balm can also be used to prepare a tasty buttermilk drink by mixing chopped lemon balm leaves with dairy ice cream in a blender. Lemon balm has a number of medicinal properties known since antiquity, when the plant was prized as an revitalising and uplifting herb. It has been especially revered for its soothing effect. Thanks to a mild lemon aroma, lemon balm acts quickly: a strong dose has a soporific effect, while a weak dose can be used to calm a nervous stomach. Lemon balm is believed to have a rejuvenating effect, and prevents vascular calcification. It can also be used for general pain relief, preventing spasms, easing digestion, as well as relieving gas, colic and menstrual pain. Lemon balm improves memory and helps with migraines. It promotes healthy heart function, helping prevent palpitations and oedema. When suffering from elevated blood pressure, it reduces dizziness and ringing in the ears, while inducing a moderate drop in blood pressure. To shake a cold quickly, drink 4–5 cups of lemon balm tea per day. To prepare lemon balm tea, it is generally recommended to use 1 tablespoon of the dried herb for 1 cup of hot (not boiling!) water. Then steep for 10 minutes, or longer to treat certain illnesses, and drink while hot. Lemon balm can also be used in some herb mixes, though it does not go well with all herbs. Good for combining with rosebay willowherb and birch leaves for regulating thyroid activity, not suitable for combining with mugwort in the case of intestinal problems. When treating illnesses, the combined effect requires careful consideration due to the biochemical mix (consult a specialist). In Lithuanian folk medicine, lemon balm is frequently used together with marjoram for enhancing memory. Lemon balm is best stored between +4 and +8 °C. This means storage is easiest in a cool place, such as a pantry or refrigerator. For longer storage, you should also lightly water the plant once a day. You can keep the pot in a glass of water, but cool conditions are still recommended. Will also keep on the kitchen table or a window sill if watered properly, though not quite as long as when kept cool. Lovely to look at and fills the air with a wonderful aroma when kept on a table. Thyme is an extremely fragrant plant rich in essential oils. It is mainly added to foods in dried form, but can also be used fresh. Suitable for use in all kinds of soups, pastas, stews, and sauces, as well as vegetable and egg dishes. Excellent for adding flavour to meat marinades and fish. 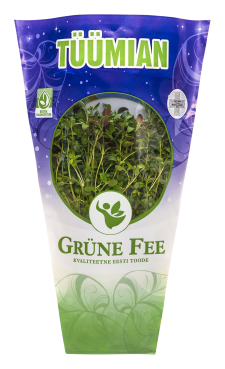 Thyme also has a number of medicinal uses It alleviates headaches, loosens phlegm, and cleans the intestines. Suitable for making tea and infusions. Thyme is best stored between +4 and +8 °C. This means storage is easiest in a cool place, such as a pantry or refrigerator. For longer storage, you should also lightly water the plant once a day. You can keep the pot in a glass of water, but cool conditions are still recommended. Will also keep on the kitchen table if watered properly, though not quite as long as when kept cool. Used fresh, dried as well as frozen. 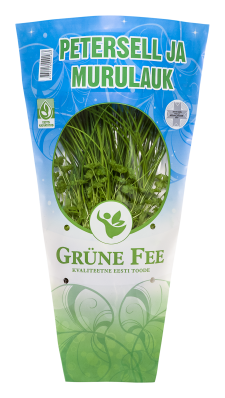 Dill is a versatile herb suitable for a variety of meat, fish and vegetable dishes. Tastes great in soups, broths and sauces. Indispensable for marinating cucumbers and seasoning boiled fresh potatoes. Fresh dill lasts longest when kept between +4 and +8 °C. This means storage is easiest in a cool place, such as a pantry or refrigerator. For longer storage, you should also lightly water the plant once a day. You can keep the pot in a glass of water, but cool conditions are still recommended. Will also keep on the kitchen table or a window sill if watered properly, though not quite as long as when kept cool. Spinach is a superfood that can be used in both hot and cold dishes. It is a versatile plant that can really unleash your culinary imagination. For example, recently spinach has become a popular ingredient in smoothies. Spinach is used in soups, purées, fish, omelettes, pies, fresh salads, and even pancakes. Spinach is very rich in nutrients. It contains an abundance of antioxidants as well as vitamins A, C, E, K and B9, iron, magnesium, copper, calcium, and dietary fibre. 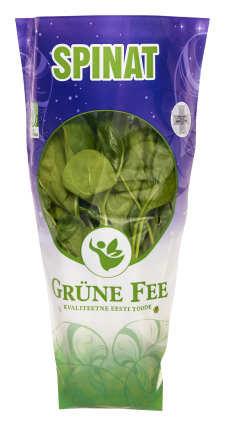 Fresh spinach lasts longest when kept between +4 and +8 °C. This means storage is easiest in a cool place, such as a pantry or refrigerator. For longer storage, you should also lightly water the plant once a day. You can keep the pot in a glass of water, but cool conditions are still recommended. Will also keep on the kitchen table or a window sill if watered properly, though not quite as long as when kept cool. 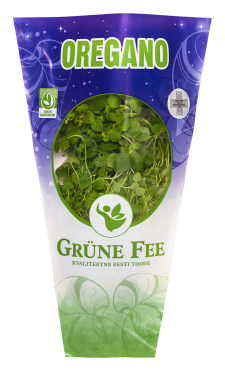 The slightly bitter and mustard-like flavour of this leafy herb makes it perfect for use in fresh salads, e.g. when combined with mild-flavoured leaf lettuce and feta or mozzarella. Excellent addition to pizzas, omelettes or steaks, as well as for making pesto. 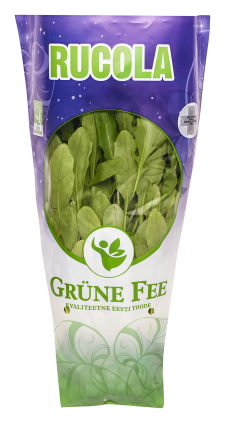 Young leaves have a flavour reminiscent of garden cress, mustard, and nuts. Also used medicinally as a source of vitamin C and promoter of healthy digestion. It is best stored between +4 and +8 °C. This means rocket is easiest to store in a cool temperature-controlled space, such as a pantry or a refrigerator. For longer storage, you should also lightly water the plant once a day. You can keep the pot in a glass of water, but cool conditions are still recommended. Warmth leads to faster decay. The peppermint plant is commonly used for making aromatic peppermint tea. Fresh peppermint leaves are also used for flavouring and garnishing a range of desserts. Can be used equally well for seasoning meat dishes. Peppermint tincture has pain-relieving properties, reduces nausea and intestinal gas. Peppermint tincture can easily be prepared at home: just gather some peppermint flowers and leaves and soak them in vodka. Peppermint is slightly easier to preserve than most other herbs, as long as you protect it from the cold and water it well. While not as delicate as basil, peppermint leaves will turn dark in cool conditions. To keep it fresh longer, ensure an even temperature: temperature fluctuations reduce the shelf life of the plant. The most convenient way to store peppermint is to place it on the kitchen table in a decorative pot. This way, it is lovely to look at and will freshen the air with its wonderful aroma. Provided the plant is kept sufficiently moist, it will keep this way for a relatively long time. Parsley is a popular herb with a high vitamin C content. Suitable both fresh and dried. Add to soups, meat, fish, vegetable dishes, sauces or salads. Perfect for garnishing a variety of dishes. Parsley promotes healthy digestion. It is best stored between +4 and +8 °C, for example, in a pantry or refrigerator. For longer storage, you should also lightly water the plant once a day. You can keep the pot in a glass of water, but cool conditions are still recommended. Warmth leads to faster decay. A great mix of two highly valued herbs. 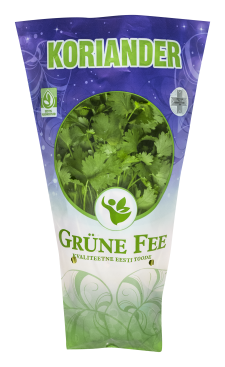 Add this herb mix to salads or soups or use for garnishing a range of dishes. Chives are commonly used for adding flavour to salads and soups. Also suitable on sandwiches. Milder than scallions. For a simple and tasty side salad, combine fresh chives with tomatoes, cucumber, and sour cream. Chives are best when fresh, but also great when dried. It is best stored between +4 and +8 °C. This makes potted plants easiest to store in a cool temperature-controlled space, such as a pantry or a refrigerator. For longer storage, lightly water the plant once a day. You can keep the pot in a glass of water, but cool conditions are still recommended. Warmth leads to faster decay. Oregano gives foods a pleasant aroma and spicy flavour. Fresh leaves are used for cooking, but many dishes can also be flavoured using dried oregano. Oregano goes best with meat, but also tastes great on pizzas and in soups. 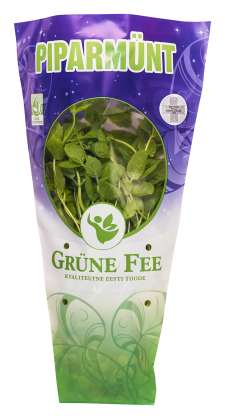 Oregano is an essential ingredient in any proper blood sausage and is known as ‘sausage grass’ by Estonians when used for this purpose. Oregano has many medicinal properties and is used in both folk medicine and the pharmaceutical industry. When used medicinally, oregano has a soothing effect, stimulates secretions, promotes healthy digestion, offers anti-inflammatory benefits, relieves spasms, gallbladder inflammation and liver ailments, as well as rheumatic pains and joint inflammation. It is also suitable for making tea. I’m green, me, and not a fan of the cold, you see. Below 10 degrees, my leaves are wont to freeze. So keep me far from the fridge and clear of the winter breeze. And try not to pack me too tightly between the shopping, please. Fresh chives last longest when kept between +4 and +8 °C. This means storage is easiest in a cool place, such as a pantry or refrigerator. For longer storage, you should also lightly water the plant once a day. You can keep the pot in a glass of water, but cool conditions are still recommended. Will also keep well on the kitchen table or a window sill if watered properly, though not quite as long as when kept cool. Coriander or cilantro is widely used in Arab cuisine. 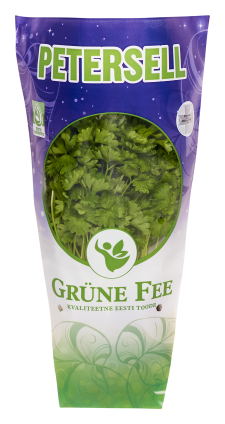 Fresh chopped coriander leaves can be added to soups, sauces, poultry or lamb dishes, and, of course, fresh salads. Fresh coriander is used similarly to parsley, but take care not to use too much, as coriander has a significantly stronger flavour. Potted coriander lasts longest when kept between +4 and +8 °C. This means storage is easiest in a cool place, such as a pantry or refrigerator. For longer storage, you should also lightly water the plant once a day. You can keep the pot in a glass of water, but cool conditions are still recommended. Will also keep on the kitchen table or a window sill if watered properly, though not quite as long as when kept cool. Basil is best used for making pesto sauce. It goes perfectly with cheese, tomatoes, and garlic, for example in wonderfully delicious tomato and basil bruschetta. Basil is a versatile herb that can be used both fresh and dried in meat, fish, cheese or pastas. It is equally great in oven-baked dishes, pasta sauces, and a variety of salads. Also used for making flavoured oils. Note! When making hot meals, add fresh basil at the end, after cooking or boiling. Thanks to its valuable medicinal properties, Basil has long been regarded as a sacred plant in Asia and has also been used in temples in Europe. It contains a potent antiseptic essential oil that alleviates muscle cramps, supports heart function, and helps treat digestive disorders, including inflammatory bowel disease. Basil also relieves anxiety, insomnia, migraines, and chronic rhinitis! 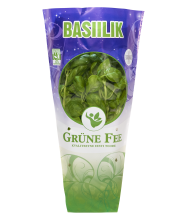 According to folk wisdom, basil even reduces discomfort caused by malignant tumours. In the Middle Ages, the sacred plant was widely known as a remedy against scorpion stings and the bites of venomous insects. Basil should be stored in a relatively warm place. Ideal temperature is around 14 °C. For a longer shelf life, remember to water the plant. Avoid keeping basil in the refrigerator: temperatures below 10 °C will damage the leaves and cause them to turn black relatively quickly. You should also avoid crushing or squeezing the plant, e.g., when packed between other items in a shopping bag. This will cause the leaves to go brown and any snapped edges to quickly turn black. In the winter, place your store-bought basil plant in a separate bag or wrap it in paper to prevent cold damage during transport. And remember to take it out of the car once you get home, as sub-zero degrees will cause the plant to die. The most convenient way to store basil is to place it on the kitchen table in a decorative pot. This way, it is lovely to look at and will freshen the air with its wonderful aroma. Provided the plant is kept sufficiently moist, it will keep this way for a relatively long time.